Hello! 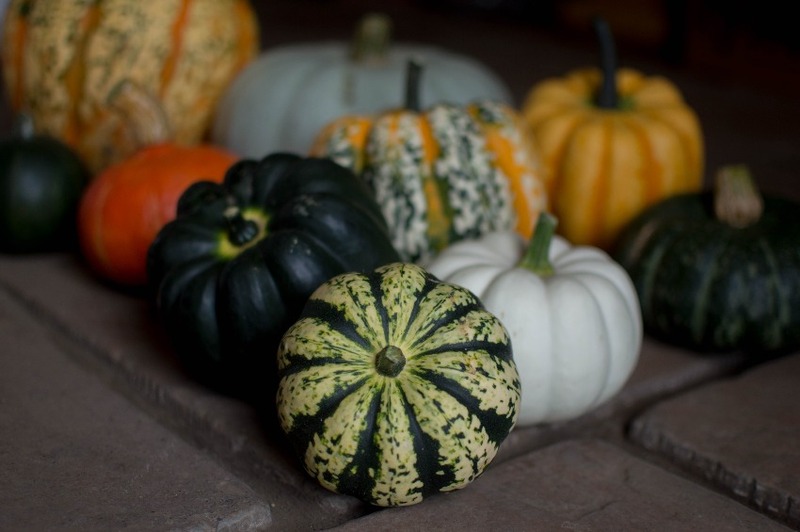 It's a quick round up of our week down on the farm as we have been super busy. 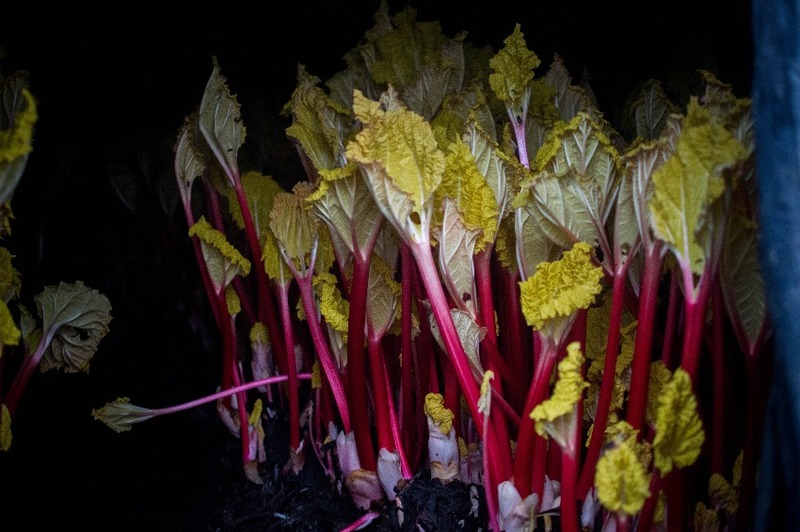 Our forced rhubarb is all hand picked in the dark (Bryn wears a glamourous head lamp to be able to see!) and Vicky and Jeni both clean and pack all the lovely stalks before sending them off to market. 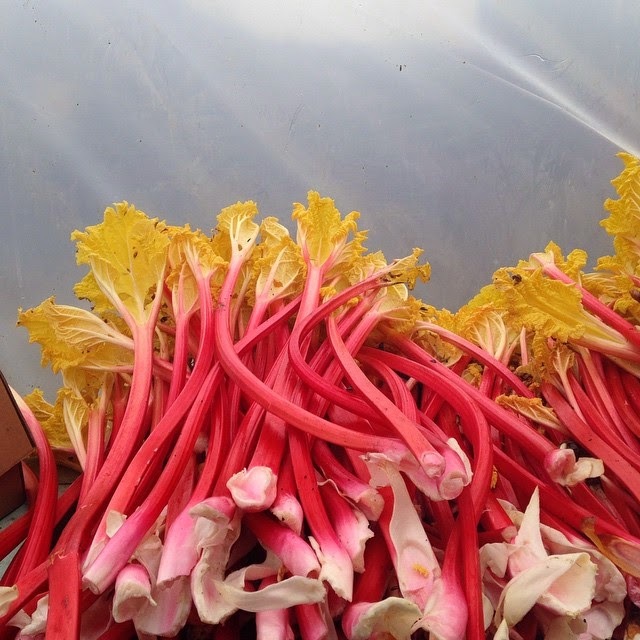 We've got plenty in the shop for you to make crumble or how about trying your own rhubarb gin? Two of our favourite customers recommended this to us and we were immediately excited at that idea! 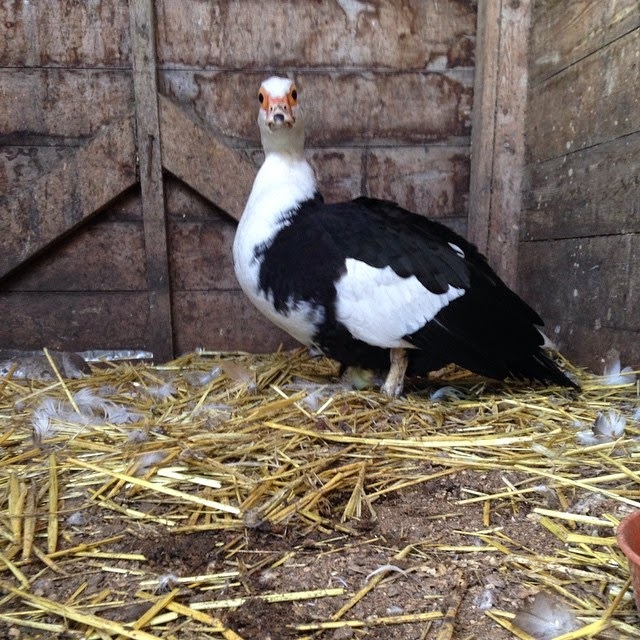 One of our ducks is busy being a Mama to her new arrival. You may just be able to spot a little furry yellow chick peeking out from under her. However, she's not been so keen to remain sitting on the rest of the eggs. So this morning Vicky and Jeni did their 'Call The Midwife' routine and rescued the eggs via 'bra power' until the incubator was warm enough to take over. We did get some funny looks from customers with our extra pointy bits! Don't forget to come and get your fresh kale from the farm shop. It is at it's peak when it's picked and eaten quickly. Ours is harvested every morning and again later in the day if we've run out. 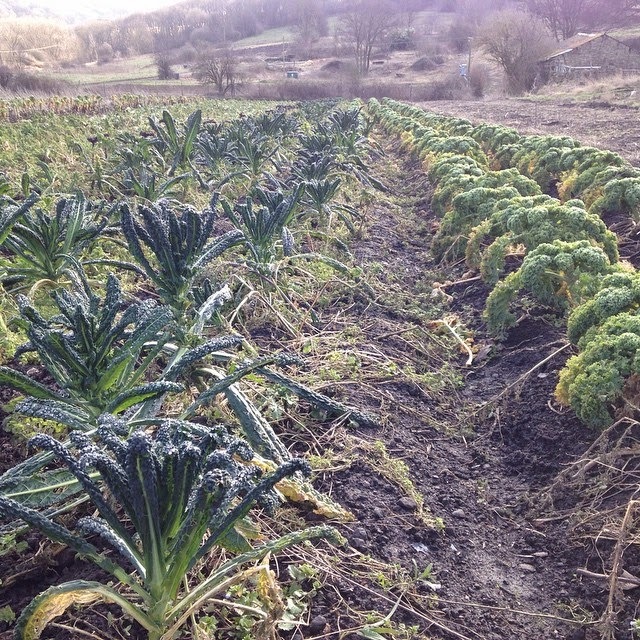 We've currently got green curly kale and cavalo nero in the farm shop, so do come get some this weekend. If you are in need of some ideas of how to cook kale, then check out our previous post here. We've had several sunny days and have got lots of outside jobs done around the nursery. It's all about preparation for Spring planting at the moment and the first of the tomato seeds are already in the propagator. 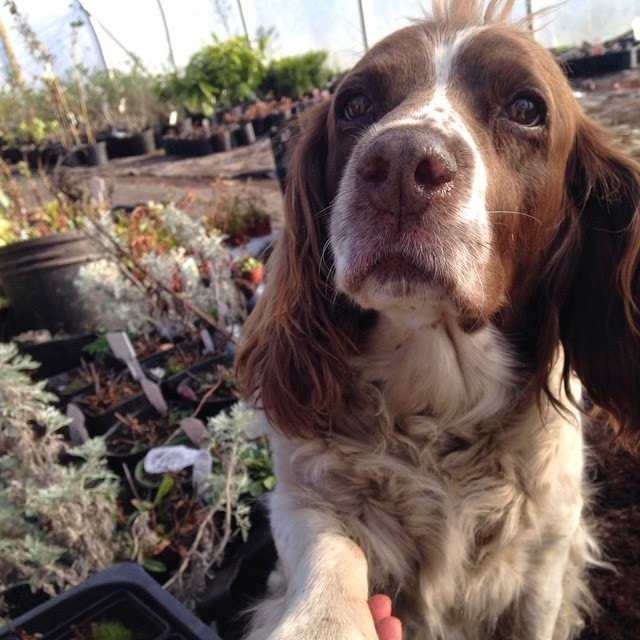 We're potting on climbers, shrubs and perennials, so lots of beautiful plants for your garden come Spring. Although Meg often thinks it's a good idea to ask for some attention whilst sitting on top of the compost mix! Thanks for reading and we look forward to seeing you soon at the farm.